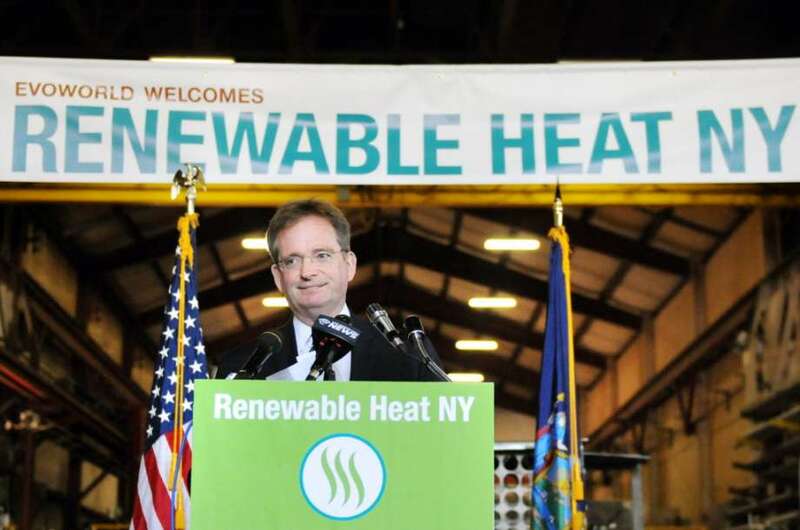 In July, New York became the first state in the country to set a minimum efficiency requirement in an ongoing pellet stove incentive program. The State will now only provide its $1,500 - $2,000 rebates to pellet stoves that are listed as 70% efficiency (HHV) or higher on the EPA’s list of certified stoves. In September, Maryland followed suit by offering larger incentives to stoves that have EPA listed efficiencies. It now provides a $500 - $700 rebates to stoves that have listed efficiencies and $250 - $350 for stoves whose manufacturers have not yet disclosed their efficiency. Three other state programs use efficiency values. Oregon has long provided far higher rebates to stoves with Massachusetts’ annual change-out program gives an additional rebate if the stove is listed at 65% or higher on the EPA stove list. A southern Vermont change out requires stoves to be listed at least 70% and be 2 grams an hour or less. The change in New York’s program, run by the New York State Energy and Research Development Agency (NYSERDA), will limit the number of currently eligible pellet stoves to about 30 models. Both New York and Maryland also requires that pellet stoves emit no more than 2 grams an hour and that the home does not have access to natural gas. Last year, NYSERDA gave rebates to help install about 500 pellet stoves and the Maryland program averages about 800 pellet stoves per year. In both states, this is a significant boost to pellet stove sales. One of the biggest differences between the two programs is that New York requires the trade-in of an old wood stove, unless you are a low income household, but the Maryland program does not. Part of the motivation by states and programs to require that stoves have an efficiency listed on the EPA list of stoves is to counter the widespread misinformation provided by manufacturers to consumers. The Alliance for Green Heat has consistently urged incentive and change out program managers to include efficiency and other best practices in program design. This can be particularly problematic with lower income families who may have tried to calculate savings when purchasing a pellet stove, and are relying on manufacturer claims to get one of the higher efficiency stoves. Incentive and change out programs that give larger amounts to lower income households may be helping those families purchase pellet stoves that are under 60% efficient, saddling them with higher fuel costs for the lifetime of the appliance. The New York program provides a rebate of $2,000 for lower income households compared to $1,500 for others, and now protects them from misleading information about efficiencies. A large portion of the NYSERDA rebate recipients are low-income households. Both New York and Massachusetts qualify lower income families if they earn less than 80% of median income. The Massachusetts program was the first to use efficiency in a change out program, giving an additional $500 for stoves listed at 65% or higher on the EPA list of certified stoves. Stoves made by manufacturers who do not disclose actual, tested efficiencies to the public are not eligible for the bonus in Massachusetts or for anything in New York. Massachusetts also gives a higher rebate amount if you purchase an automated wood stove. Many New York retailers welcome the change, as they are often caught between manufacturer efficiency claims and confused consumers. Colin Miller of Mallarney's Garden Center in North Bangor NY says he supports the changes because they help his customers save money "with more efficient stoves and its good for the environment." The Maryland program chose not to exclude any stoves on the basis on efficiency, but simply to "encourage" consumers to choose a stove with a known efficiency value, even if it is a low one. "However, it is likely that the overwhelming majority of consumers who take the rebate will now choose stoves with listed efficiencies," said John Ackerly, President of the Alliance for Green Heat, who had been urging Maryland to make the change. For the New York program, of the approximately 30 pellet stoves that are 2 grams an hour or less and 70% efficiency or more, there are a wide range of more expensive brands carried by specialty hearth stores and very inexpensive ones carried by big box stores. And more than a third emit no more than 1 gram an hour. The most efficient pellet stoves on the EPA list, from the Italian Extraflame line, are 87% and 85% efficiency, but do not appear to be on the US market yet. There are more than 500 models of wood and pellet stoves on the market and more than 150, or 25%, now have listed efficiencies. The Alliance for Green Heat updates the list and average efficiency and grams per hour of all stoves, showing that the average listed efficiency of a wood and pellet stove are the same - 73%. The average pellet stove with a listed efficiency emits 1.2 grams an hour and the average wood stove emits 2.6 grams. For consumer tips on how to choose a wood or pellet stove, this website offers advice on stove selection, installation, rebates in your state and how to know when a stove needs replacing.